Isham Family Farm Sugar House. 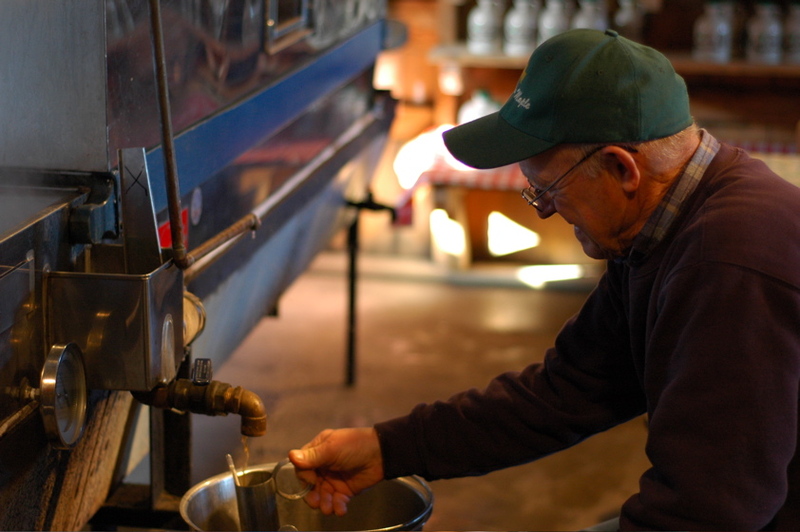 Maple sugaring is a tradition that has flourished at the Isham family farm for five generations. It’s on the verge of a sixth generation — Mike Isham’s daughter Jennifer may well prove to be the first iPod-wearing sugarer in Vermont — provided the weather holds out. 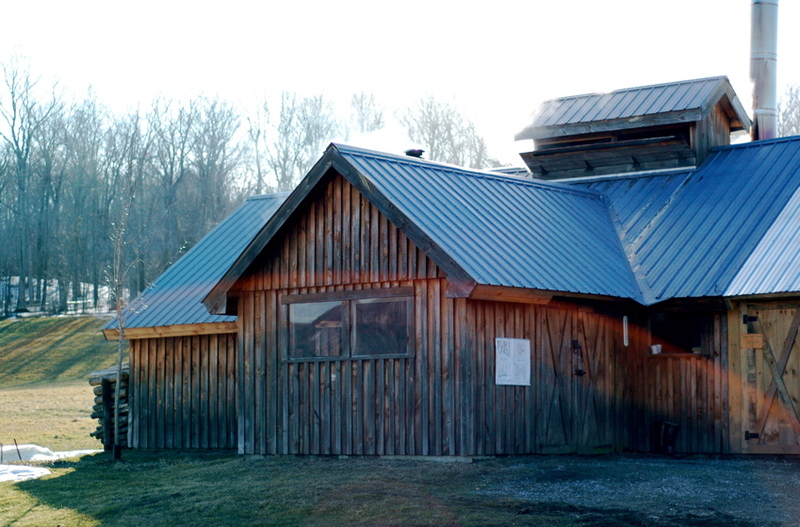 Maple sugaring happens only in the subtle dance between winter and spring, where the cycle of warming days and freezing nights makes the sap run. In the face of global climate change, Vermont’s tradition of sugaring may be in danger. 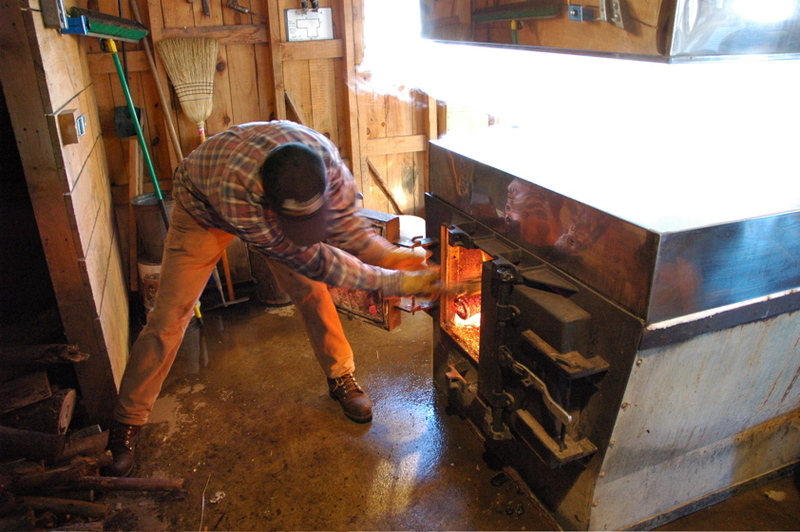 The essential techniques of maple sugaring are unchanged from colonial times: tap a stand of maple trees to capture the sweet sap that runs in early spring, and then boil the hell out of it. Fresh from the tap, maple sap is about 2% sugar. 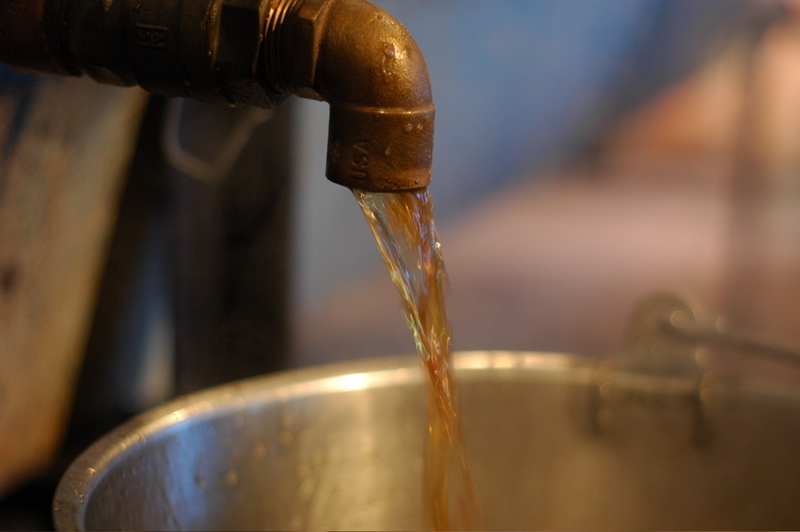 Boiled for hours in custom-built evaporators, the sugary solution is concentrated until — at precisely 66.9 percent sugar — it’s Vermont maple syrup. Technology, of course, has changed things. Complicated networks of plastic tubing (networks! of tubes!) syphon sap directly from trees into collection tanks, replacing much of the tradition of metal sap-buckets and draft horses. Not to worry, you can still find some family farms doing things the old-fashioned way… Vermonters are nothing if not resistant to change. In the sugarhouse — sweetly-scented by wood smoke and billowing plumes of steam from the evaporator — there are still more changes. Freshly drawn sap is pushed through reverse osmosis equipment, removing as much as 80 percent of the water in the sap before boiling ever begins. Combined with a super-efficient evaporator, this concentrated sap takes only a quarter the time to boil down to syrup as it did in the good ‘ol days. Of course, boiling down thousands of gallons of concentrated sap still requires the patience of Job, and a certain sort of mindfulness, as the difference between pure maple syrup and a burnt maply mess is a matter of only a few degrees temperature or a coupla ticks on the hydrometer. And so it’s little wonder that sugaring tends to be a family affair, with an experienced hand on the tap, and a broad back or two keeping the fire stoked well into the night. 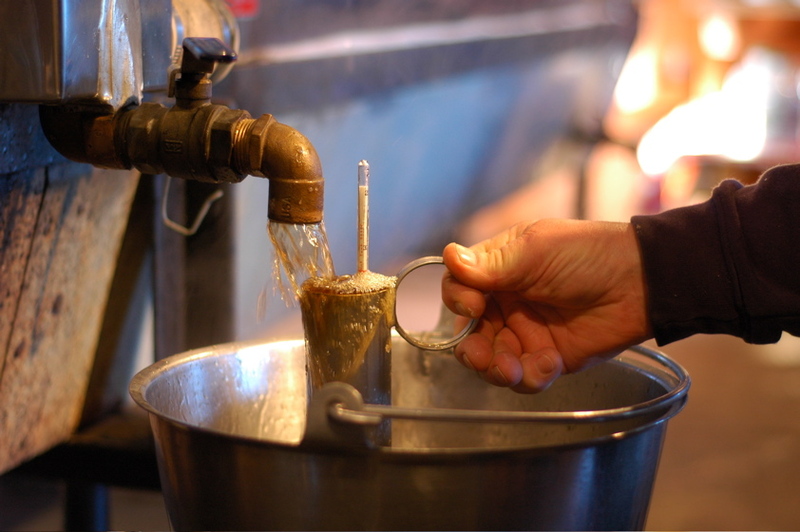 You can make syrup only when the sap is running; and when it’s running, it waits for no one.